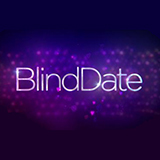 Blind Date is a TV show on British national television from Channel 5 with an average rating of 3.7 stars by TelevisionCatchUp.co.uk's visitors. We have 30 episodes of Blind Date in our archive. The first episode of Blind Date was broadcast in April, 2019. Did you miss an episode of Blind Date but don't you wan't that to happen in the future? Please set an alarm and add Blind Date to your favourites, so we can remind you by email when there's a new episode available to watch. For free! Laura from Barnsley has high hopes for a tradesman. Sales executive Jack is looking for his Mr Right. Retired dance school owner Ken is hoping to find his Barbie. Laura and Jean-Paul choose from three potential partners. Wedding singer Liam and show veteran Jane look for love. Devorshka is back to pick another date, and she hopes that it will be more successful than her last one. Also hoping to be picked for a blind date are Katie from Gloucester, Welsh nurse Sarah and Bath beautician Lucie. Criminologist Luke is about to be surprised by three gorgeous drag queens who are eagerly waiting on the other side of the wall. Also glamorous Glaswegian beautician Lauren has to choose between two best friends, Jamie and Steve, from Doncaster and recruitment consultant Max from London. Fashion student Mia has the pick of blogger Howie, Geordie Declan and musician Elijah. Then Stephen from Blackpool chooses his date from bodybuilder Terri, teacher Julia and Marilyn Monroe impersonator Suzie.